A classic view of Oahu hotels. Oahu is home to Hawaii’s largest city and state capital, Honolulu. It offers a wider variety of hotels than any other island. Here, you will find world-class resorts, budget properties and local hotels. Because of these things, you’ll definitely find a hotel well suited to your needs. 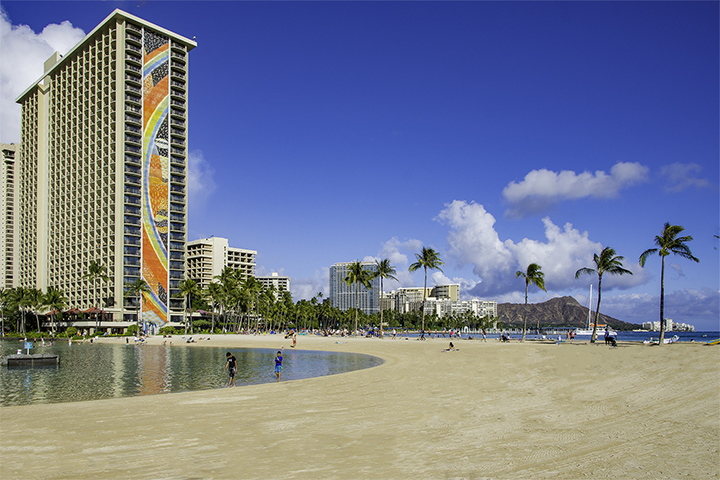 You can find Oahu hotels in three areas on the island. Virtually everyone knows about Waikiki. It’s famous for its high-end hotels and all-inclusive resorts. Because of this, the area has been a world-class vacation destination for many years. On the other hand, the Ewa side of the island now has several notable properties. This includes the new Disney Aulani resort complex. 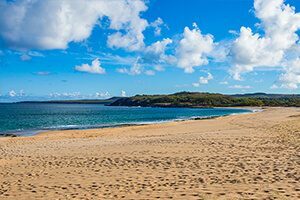 While the iconic North Shore area has the Turtle Bay resort and condominiums. Your dream vacation on Oahu can include a nearly limitless range of activities. For example, you can lounge on Waikiki Beach. View the enormous 30-foot winter waves on the North Shore. Visit historically significant sights like the Arizona Memorial. Or check out the world famous Polynesian Cultural Center in Laie. Additionally, you can see film location tours throughout the island. Because of this, whatever you choose, Oahu promises to be an adventure-packed island for all. 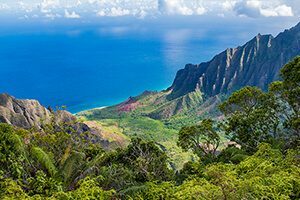 So it’s easy to see why Oahu is the most popular vacation getaway spot in Hawaii. This is where we can help. 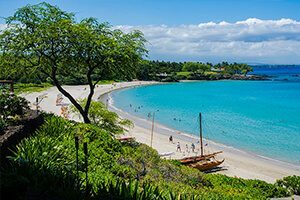 On our website, you can find cheap flights, affordable Oahu hotels and competitively priced travel packages. But if you’re still undecided, you can also review our Secrets of Oahu: Hawaiian Vacation Map. 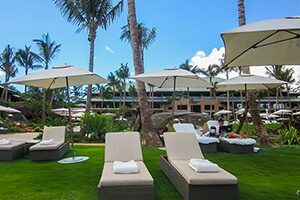 Panda ® Online offers one of largest selection of hotels on Oahu. We are the largest travel wholesaler in the State of Hawaii. As a result, we are able to pass on great savings to our customers. Whenever you are in need of hotels, family travel packages and other vacation options, check out the savings you can get on Panda ® Online.